Calling a community to connect to Christ! spiritually equipped, and practically empowered Disciples of Christ. To enable followers of Christ to envision the world from God’s perspective and to serve Christ in the church, and in our society, as Biblically educated, spiritually equipped, and practically empowered Disciples of Christ. 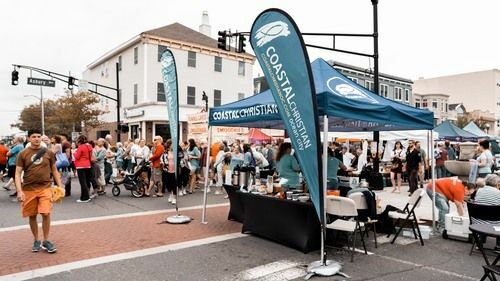 Jesus said, "If any one hears my voice..." "If any one is thirsty..." "If any one believes..." Coastal Christian values the worth of every individual as brothers and sisters in the Kingdom of God. Even those far from God are seen as potential sons and daughters of a loving Heavenly Father. The final call of Christ to His followers was to reach beyond our faith community to share God’s perspective with the world. We believe in responding locally as well as globally to reveal God’s love for the world.